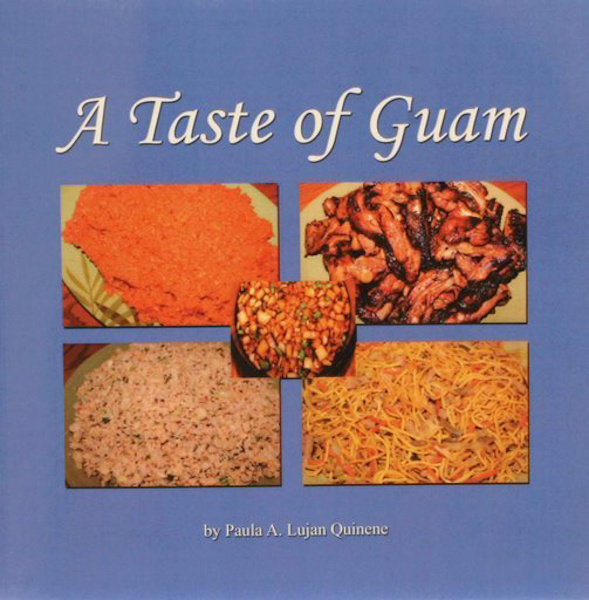 Latiya bread pudding is the luscious, hot version of the traditional Chamorro latiya dessert. ...a deliciously hot version of latiya you will love! My best friend got married in the summer of 2015 on Guam, and had her reception at Top of the Mar. They served a hot version of latiya as dessert. 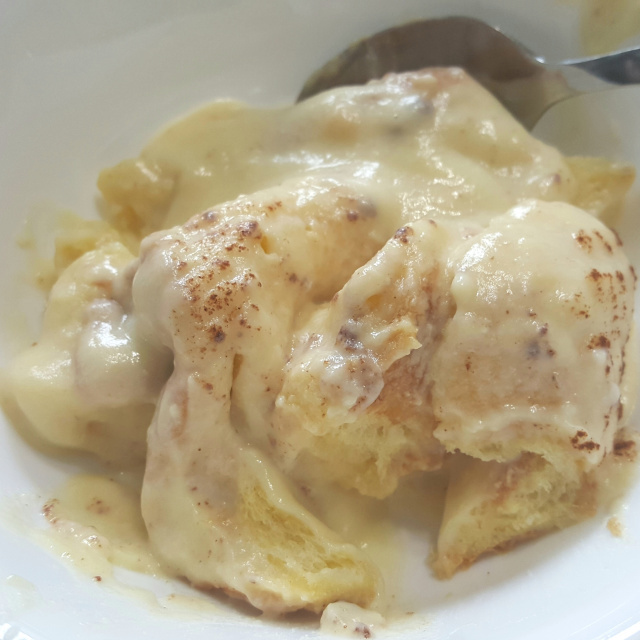 I don’t know what they called it, but I’m calling it “warm latiya brioche bread pudding” because it’s different yet the same from our traditional latiya. This is my attempt at that dessert – and it’s reminiscent of dipping pantosta in hot coffee – warm, soaked, and delicious. 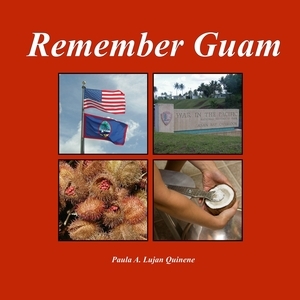 For those not in the know, traditional Chamorro latiya is a dessert made of a cake base – pound cake or sponge cake – and custard and cinnamon topping. Toast the slices of brioche bread. Set aside on a wire rack. In a large pot, add the evaporated milk, water, sugar, butter, and vanilla extract. Heat on medium heat to just below a simmer. Do not boil. While the milk mixture is heating, in the medium bowl, lightly beat the eggs. Set aside. Fill the measuring pitcher with ¼ cup of cool water. Add the cornstarch. Mix well and set aside. When the milk mixture is just below a simmer, use the ½-cup measuring cup to scoop some of the milk mixture. Slowly drizzle the hot mixture into the lightly beaten eggs as you whisk to combine. Continue to add a little of the hot milk mixture to the egg mixture, tempering the eggs. Tempering means to slowly bring the temperature of a cool mixture up to the temperature of a hot mixture – in this case, so you don’t scramble the eggs. Once you’ve added two-thirds of the milk mixture to the egg mixture, pour the tempered eggs into the pot of milk mixture, whisking as you combine them. Bring the custard to just under a simmer. Stir the cornstarch mixture then add it to the custard. Whisk and cook for 2 minutes, allowing the final mixture to come to a very gentle boil – that is, it should have few bubbles coming up, but not a full boil. Remove pot from the heat. Spread a very thin coating of the custard in each of the baking dishes to help keep bread from sticking to the bottom of the dish. 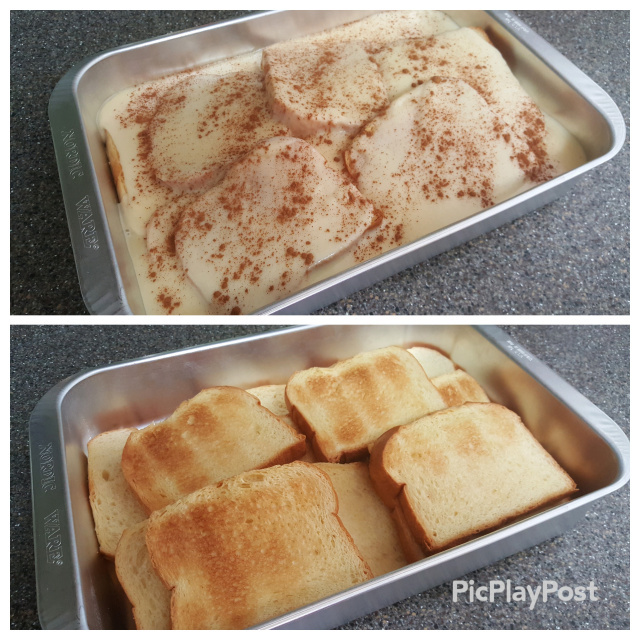 Layer about 6 slices of brioche to cover the bottom of the larger pan; 4 slices for the smaller pan. Pour a thin layer of custard over the brioche in both dishes. Add another layer of sliced bread to each. Pour the final layer of custard over each pan. You will not completely submerge all of the bread in the latiya sauce, but each of the top slices should have a coating of the custard. Cover the dishes, leaving a slight crack. Place on warming tray to keep warm.